Laura provides insight and solutions that help her clients understand the impact of their financial decisions and assists them in achieving their financial dreams. Her goal is to create a clear financial picture for her clients and to educate them on how to best implement solutions that match their priorities and resources. With a focus on comprehensive financial planning, divorce planning, tax strategies, and investment management services, Laura serves as the trusted resource for all aspects of her clients’ financial lives, and treasures the lasting relationships that are built through that trust. 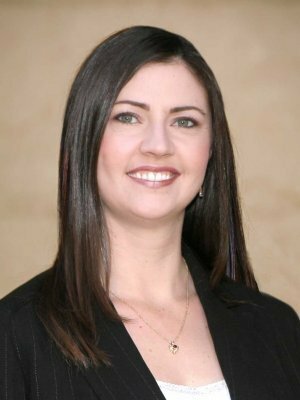 Laura has served on the San Ramon Chamber of Commerce Ambassador Committee for the past 12 years and has held positions on the Board of Directors. She is also a member of the Institute of Divorce Financial Analysts. Through her volunteer work with Second Saturday and Divorce Angels, Laura hopes to educate members of the community on divorce financial topics, arming them with the information they need to thrive. Laura works with her clients and and their attorney throughout the divorce process. She analyzes settlement options to help ensure an equitable financial settlement, and educates her clients on how that settlement will impact them financially now and in the future. Laura has also been teaching retirement seminars for 12 years, and Junior Achievement Financial Programs at the high school level for the past 5 years. A Midwest transplant, Laura holds a B.A. degree from the University of Iowa. She completed the Graduate Certificate program in Financial Planning in 2003 from DePaul University and earned the Certified Financial Planner™ (CFP®) professional designation in 2004. She also earned the Chartered Financial Consultant™ (ChFC®) and the Certified Divorce Financial Analyst® (CDFA™) designations in 2014. Laura lives in West Dublin with her husband, Mike, and their beloved rescue boxer, Barney. Laura Steinbeck is a financial advisor with Summit Financial Group and registered representative and investment advisor representative of Securian Financial Services, Inc. Financial Advisors do not provide specific tax/legal advice and this information should not be considered as such. You should always consult your tax/legal advisor regarding your own specific tax/legal situation.